I was Plutonium’s brand ambassador. I was compensated for my work, but the opinions are 100% my own. 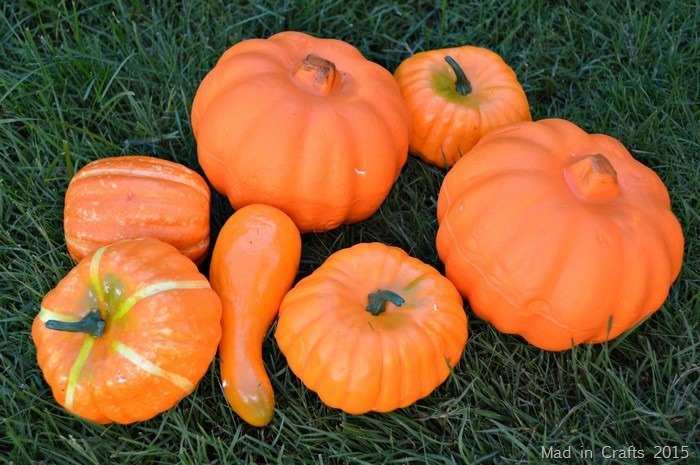 Who says pumpkins need to be orange, anyway? I love pumpkins in all sizes and colors, but there’s no reason you need to keep them in their natural state. 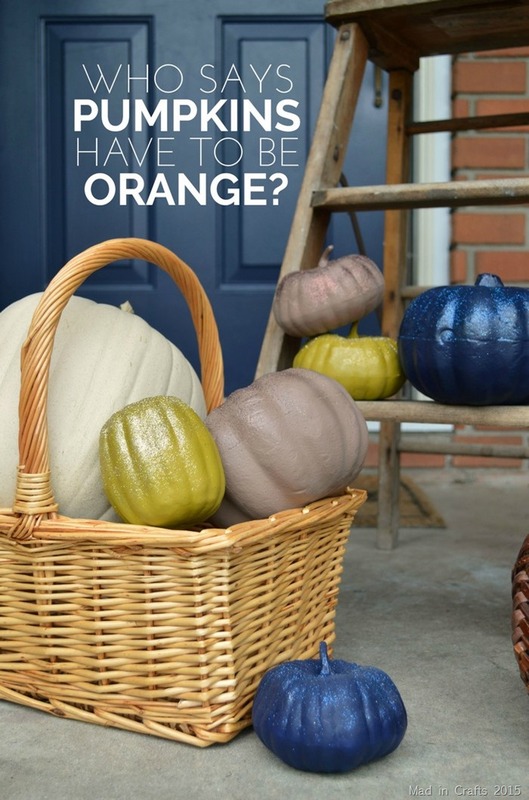 Spray paint is the quickest way to paint pumpkins, whether they are foam or real. I picked up an assortment of foam pumpkins from Dollar Tree and gave them a makeover so they coordinated better with our front porch. I stuck a dowel in the bottom of each pumpkin, and quickly sprayed on a coat of Plutonium. One coat is all you should need. I matched up the caps of my three Plutonium colors to glitters from my admittedly enormous glitter stash. When the paint had dried, I gave each pumpkin a shot of spray adhesive and sprinkled on the coordinating glitter. This is a completely optional step, obviously, but why wouldn’t you add the glitter? 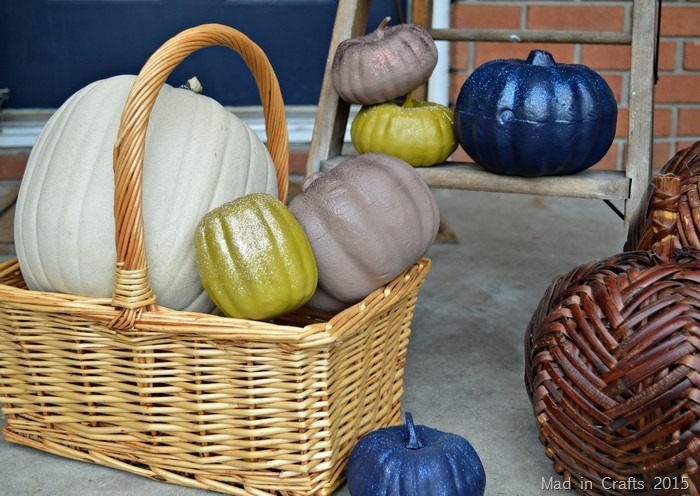 These pumpkins are going to look great on our front porch since the colors work so well with the brick and the blue door and shutters. 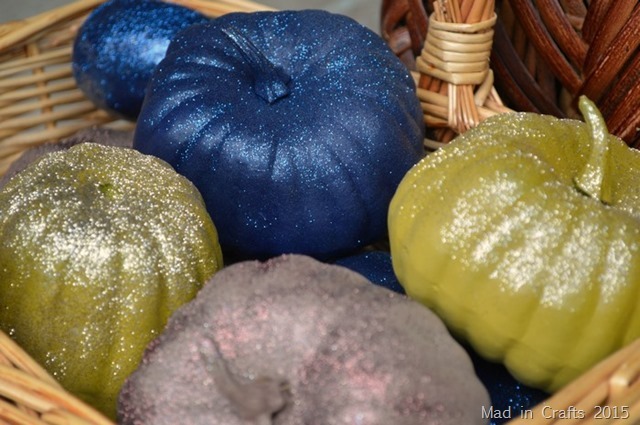 These are the Plutonium colors that I used on my pumpkins. The poupon color is the hardest to describe. It is maybe not as green as it appears in this thumbnail, but it definitely has a green tint to it. I am really into it. 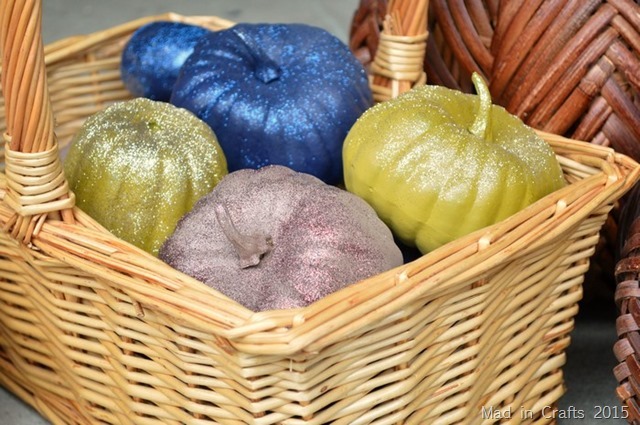 If you want to go a more traditional Candy Corn route for your pumpkins, these Plutonium colors are vibrant and saturated. The white is the brightest and truest white spray paint I have ever used. This would be another gorgeous and luxe fall color palette using Plutonium’s paint colors. I have gathered together links for the materials I used in this project. These are affiliate links, so I will receive a small commission if you chose to buy after clicking through. Thanks!